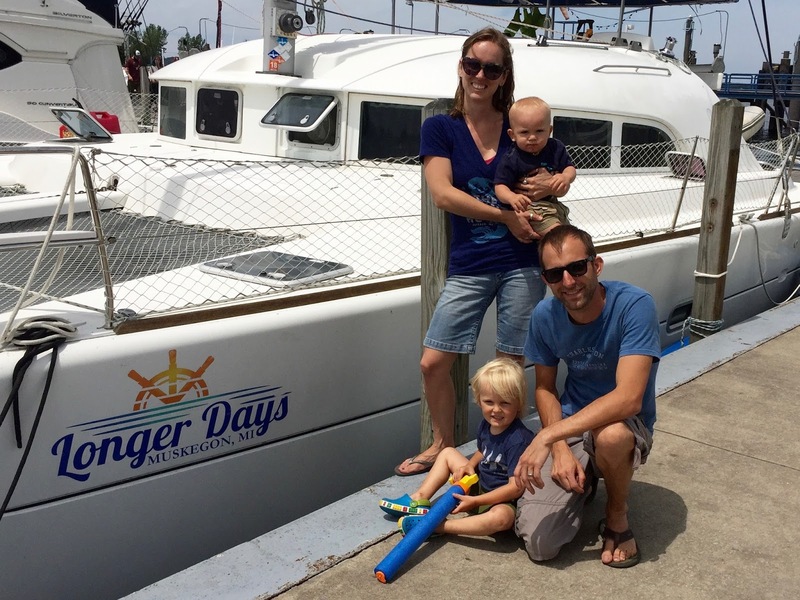 We are moving aboard our boat and setting sail for the Florida Keys where we will spend the winter of 2017. We are tentatively heading for Stock Island, where the plan is to get a dock and hang out for the winter. July - Launch boat, move aboard, have a mega yard sale of remaining possessions. August - Settle into a routine on boat. Total distance ≈ 1,081 miles. 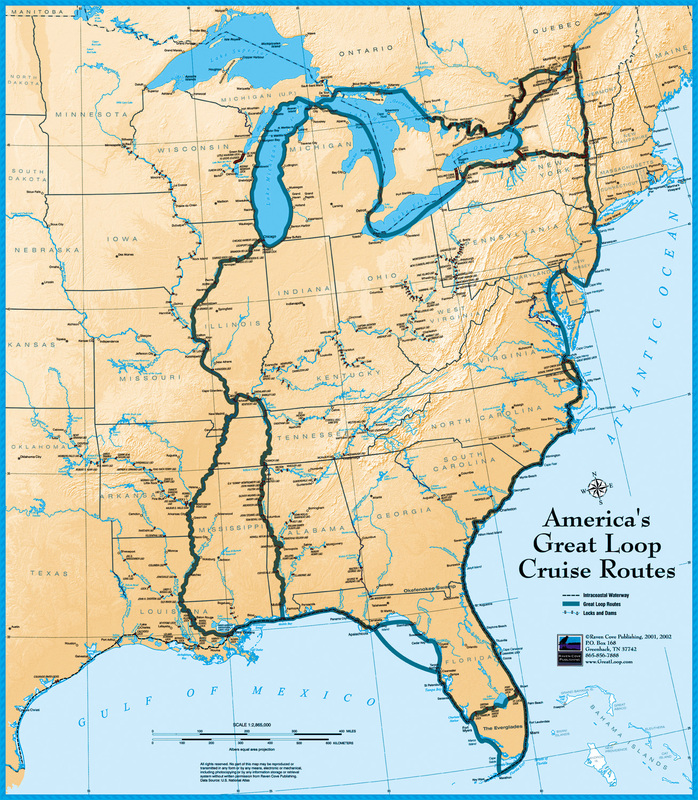 How long does it take to get from Chicago to Mobile by boat? 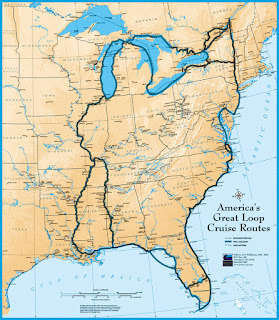 If we travel an average of 25 miles a day, it will take us 43 "traveling days" to get to the gulf. Some days we won't travel because of bad weather or we will want to explore a town. 25 miles a day is only 5 hours a day, less when the current is going with us. So even though we won't be traveling everyday, 43 days is probably a pretty good estimate. We're planning on it taking about 3 months to get to the Florida Keys. We will drop the mast in Chicago and have it trucked to the gulf. Are we selling our house? No. We are renting it. We've hired a recommended property management company who will handle everything while we are away. What about the company/your job? I sold LongerDays in the spring of 2016. I had a 1-year employment contract that expired in the spring of 2017. Aside from rental income, I'm not entirely sure. Right now I'm like a leaf on the wind, hoping for a soft landing. For as long as it's fun! Probably several years. However, expect to see us in town around Christmas and/or summertime. Are we keeping the cats? Between the kids and the cats, we decided to keep the kids. We found a really nice home for the cats, where they will be going to live at the end of May. Hobie loves our cats, and he wants to bring them with. We told him cats don't like water, so it isn't fair to bring them on the boat. When we told him about a nice lady we met who was sad because her cat died, he said "maybe she could watch our cats when we live on the boat." LeeAnn and I looked at each other like "well that was easy." - There isn't an out of the way place to put the kitty litter box. - Grocery shopping when traveling on a boat means walking to the store, and then walking back carrying everything you buy, plus two kids. I'm not sure we can, or want to add kitty litter and cat food to the load. How are you going to keep the kids safe? We get this one a lot. It's kind of amazing how "unfamiliar" is so easily turned into "unsafe." The idea that our kids are safe at home in Muskegon is an illusion. We will keep our kids safe on the boat the same way we keep them safe at home. - When the kids go outside to ride bikes, they where helmets. - They're not allowed to play in the street. - In the car we wear seat belts. - Baby gates in front of the stairs. - When the kids go on deck they wear life jackets. - We have 24" tall lifelines with netting around the perimeter of the boat. - The cabinets have locks on them. - Charlie's room has a baby get to keep him from getting up and wandering around at night. There is danger everywhere, the best we can do is create boundaries, rules, and keep a close eye. Are you planning to homeschool the kids? Maybe! Hobie won't be "school age" for school for another 1.5 years, but we're already laying the homeschool foundation just in case. We feel very fortunate to be able to have both parents available to take an active role in our children's education! Aren't you worried about socialization for the kids? If we were sailing non-stop around the world I might be worried about socialization. But we are taking well worn paths traveled by thousands of boaters every year. "Boat kids" aren't all that uncommon, and we've found cruising family's tend to gravitate toward each other. Plus if you think about it, school is about the only time in your life when you are with people who are the same general age, race, and socioeconomic background. Why is that so great for socializing? Why shouldn't kids learn to relate and talk to people of all ages and backgrounds? Granted, there is something to be said for steady friendships with people your own age. So I am worried about that. We will just have to work it out as we go along.